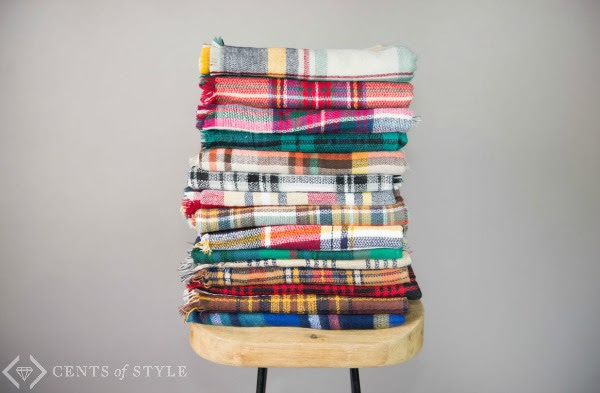 These Plaid Blanket scarves have been one of our favorite accessories all season...and we are not ready to give them up. We will be wearing ours on cool Spring nights, in our carry-on bag on vacation, camping in the Summer, and at the movies year round. They are the easiest layer to keep with you...and are oh, so stylish. 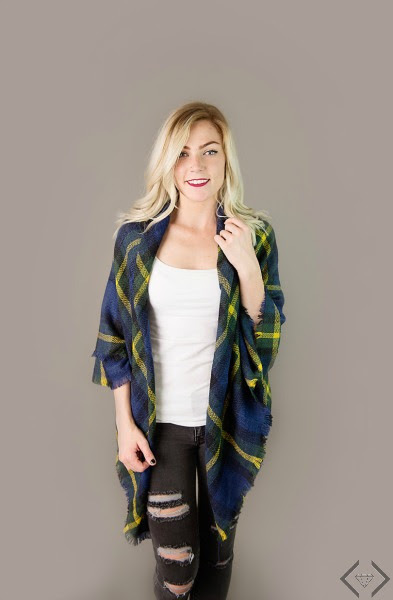 Check out today's crazy deal - 2 plaid blanket scarves for $16! It's insane. Whether you are stocking up for next Fall, or if you will be wearing yours all year (like us! ), this deal can't be missed! 2 for Tuesday - 2 Plaid Blanket Scarves for $16! Use code 2FORPLAID and it will make the final price $16 when 2 scarves are added to the cart. Wear your scarf as a shawl. With the color options and the ease of adding/removing the layer, it is perfect for those cool spells Spring is known for. Wear as a vest. Add a belt to define your waist, keep that extra layer handy and pair with your favorite short sleeve top. Summer travel. Airplanes are notoriously chilly. Does your husband turn up the A/C in the car? Solution: Blanket scarf. Take it everywhere. It's so easy to toss in your purse, and pull out where you are cold. The movies, dinner, the outdoor shopping mall? Headed on vacay? 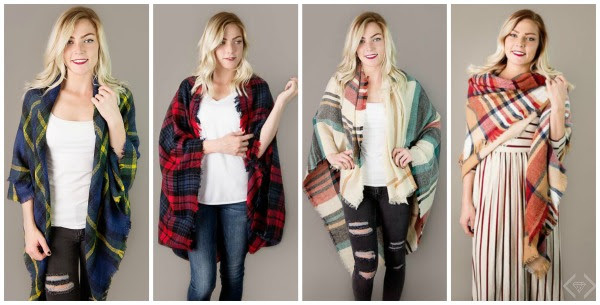 Anywhere you find yourself feeling the chill, the blanket scarf can be there to save the day! Pair it with your favorite dress. Enough said. Add it to your tee and shorts. It will pull together your look, and keep you cozy when the wind kicks up.